Below you can find a sample of my past work. Apart from the public section of the website, screenshots from the main private systems I designed and implemented (which are accessible for registered users only) are below. Advanced search — Provides a powerful interface to allow searching by any of the metadata stored for the assets. This also includes a powerful keyword (tag) based search, which allows searching by three possible states (images that have a specific tag, images that don’t have it and images where this has not been defined). Search results — This page displays a grid of thumbnails for all images that match the search/browse criteria selected by the user. 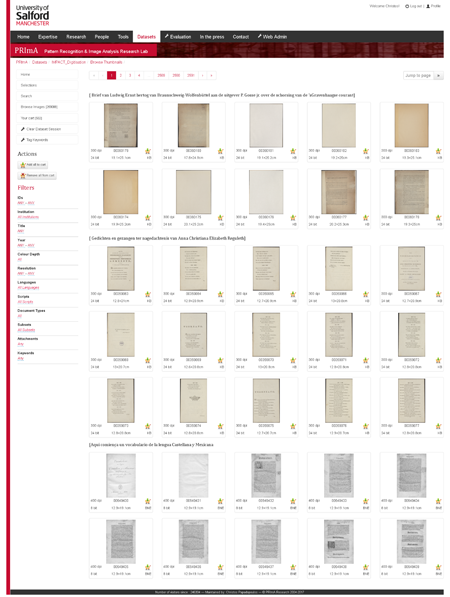 The menu on the left allows for further filtering of the displayed images. Document details — Details of a selected document. 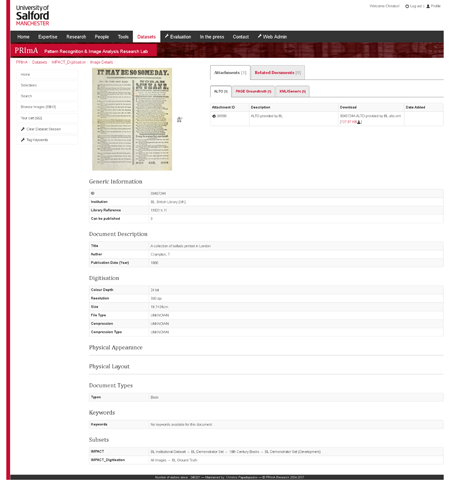 This page displays all metadata and keywords for a selected document, as well as any related documents. 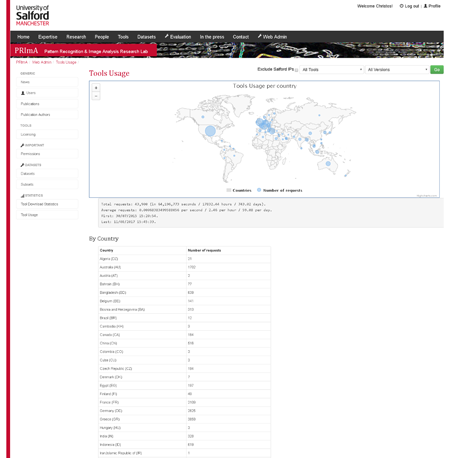 Generates statistics on distribution of users of the tools by country, duration of use, license type, etc. The key generator allows users to automatically generate and register for a key to activate a trial version of the following software. Once they decide to start paying for the full version, it allows them to manage multiple keys (based on their license agreement) and activate the software on different machines. The license management uses a custom built SOAP API to interface both with the website and the applications that it is used for. Tools licensing — Different license levels based on type of user and fees paid. 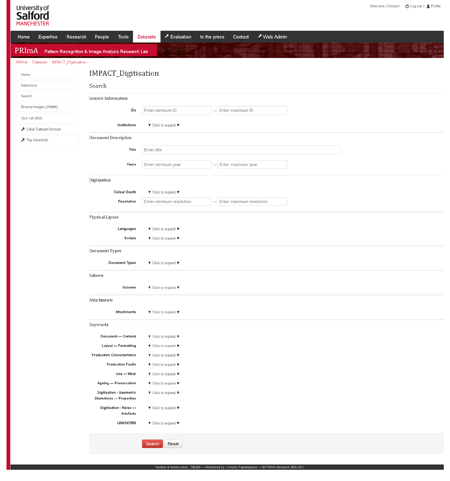 Key Generator — Allows a registered user generate/see their license key and details. 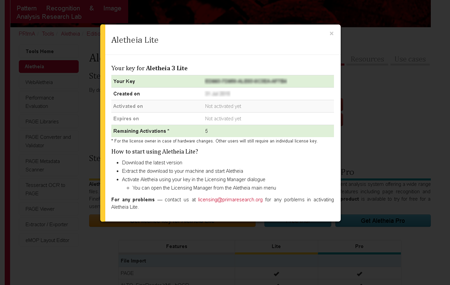 Allows full administration of the site and licensing service. Provides statistics for downloads and usage of tools and services. Tool usage statistics — Allows administrators to see usage statistics per tool and country. Evaluation is performed via a set of interlinked services. Evaluation is scheduled to be performed automatically by the server since the process could take hours/days depending on the number of files, what is being evaluated and the number of evaluation algorithms selected by the user. 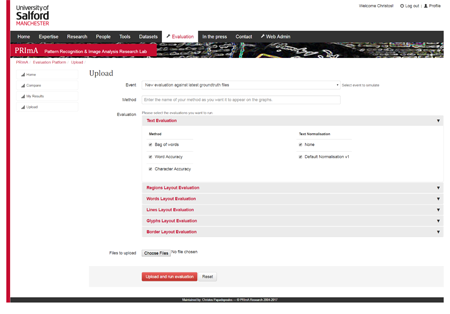 Upload interface — Users can upload their own results for evaluation and choose level of evaluation and algorithm to be used. Results page — Table of all results. 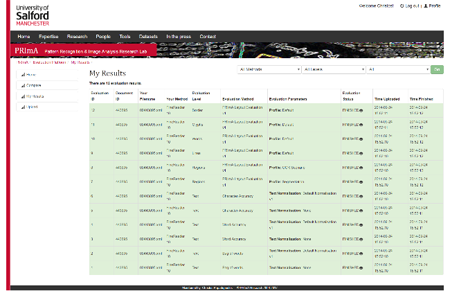 Results page — Graphical view of evaluation results.